And why not not taking the time to read a French book? 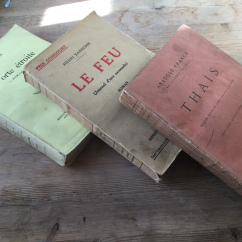 Peter, my dearest mentor when I started my teaching career as a language teacher in the UK, has set up a lovely website for lovers and discoverers of French Literature. I love the idea behind it which is to offer vintage (and other) used novels, to feed your love of French Literature. Peter who is a true francophile says: “After teaching French for so long, I wanted to continue working with language and literature in some way. And so was born ‘les bouquinistes’, inspired by those purveyors of vintage literature and art along a 3 km stretch of the River Seine – so iconic that they were awarded the status of UNESCO World Heritage Site. For more tips about how to start reading in French, check out my previous post. Since it’s been so cold, I thought I would take you to my kitchen to show you how I prepare a good vegetable soup, une bonne soupe de légumes. During the cold months, the French traditionally have a soup at dinner time as a starter. Therefore I usually prepare a big soup over the weekend for the week to come. 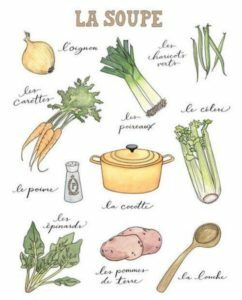 The traditional French soup uses basic vegetables such as leeks, carrots and potatoes but I usually mix and match according to the season. 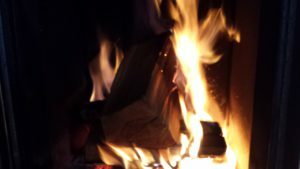 You will find out why the French say ” il fait un froid de canard “, a duck’s cold. Remember last week I didn’t have a clue? Well, I did some research and I finally found out why (it does make sense!). You will also learn about vegetables and kitchen utensils in French, and especially about my life saving pot! Did you enjoy having a sneak peek into my kitchen? For more about French soups, have a look at all the different soups here. A very popular one is la crème Dubarry, which is a cauliflower soup with cream. La crème vichyssoise is also a traditional soup with leeks and potatoes from the spa resort Vichy in central France. La Soupe à l’oignon is also very famous and delicious! You can also listen to the podcast by Français Facile to learn how to make a pumpkin soup, une soupe au potiron. I love hearing from you so let me know in the comments what is your favourite soup. P.P.S. Be sure to watch my last tale from the Grimm Brothers about un vieux chien nommé Sultan, an old dog called Sultan.